First an idea. Then a frame. Now finally a bike! For those unfamiliar with this project, I have been collaborating with Bryan Hollingsworth of Royal H. Cycles to create a classic French randonneuring bicycle for a customer who was as curious as we were about how these mythical creatures handle. 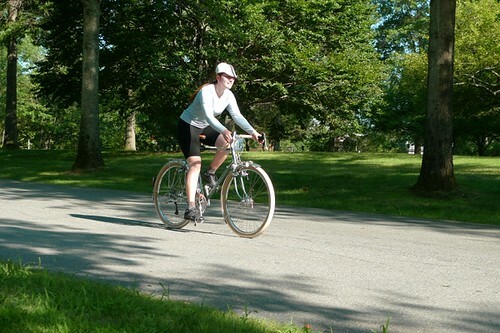 It's become popular to call all sorts of bicycles "rando bikes." Framebuilders and manufacturers will sometimes use this term to mean "a fast bike with fenders and racks that's meant for long distance." However, we mean something very specific: the classic low-trail geometry design with wide 650B tires, in the tradition of the early French constructeurs - as described and enthusiastically recommended by Jan Heine in the Bicycle Quarterly (see my earlier post about BQ here). We found Jan's descriptions of these machines intriguing: They promised the comfort and convenience of a fully equipped, wide-tired touring bike with the speed and responsiveness of a racing bike. Could it really be? Jan Heine and a couple of my personal contacts in France were immensely helpful with the process of figuring out the geometry. Jan also advised on the choice of tubing and a number of other details. We specifically wanted to consult with him on these matters, because the whole point was to try the sort of bike he recommended. 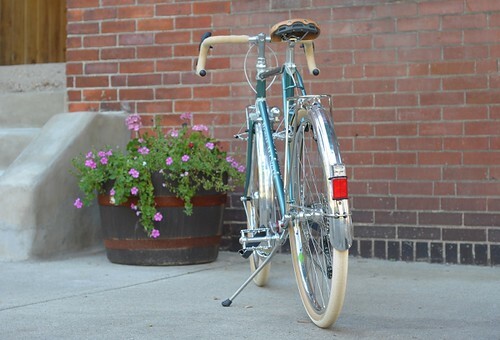 While our bicycle is not a constructeur (the racks and other parts were purchased, and not custom-made for seamless integration), it is a fine handbuilt frame, fully equipped with fenders, front and rear racks, and internally wired lighting. I would also like to acknowledge that we had some help from Harris Cyclery with the finishing touches of the build. 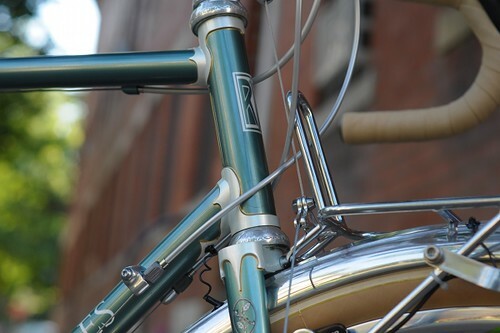 Naturally the frame is lugged, and for me the aesthetics of the bicycle are strongly defined by the lugwork in the headtube and the fork crown. I was happy to see that these lugs remained a strong focal point even once the frame became "cluttered" with components and accessories. Notice also the tiny lug where the wire for the lighting enters the downtube. There is a matching one on the left chainstay, but I don't have a good shot of it just now. I am not going to go into details of the frame construction and internal lighting right now, so that will have to be a separate post. 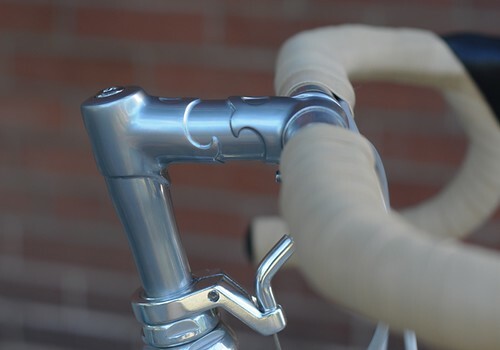 Some of the components are pretty interesting - such as the Nitto lugged stem and the Grand Bois Maes handlebars - and I may write about them separately as well. Will also write about combining Shimano drivetrains with Campagnolo shifters, which we have done to two bicycles so far. The bicycle as shown here is not entirely complete: It's getting a handlebar bag in a few days, as well as bottle cages, a bell and a computer installed. I will be thoroughly test riding it over the course of the next month before it is sent off to the customer, and writing up my impressions in an article for Bicycle Quarterly. The BQ article will be different from, and more detailed than the posts here, so reading it will most definitely be worth it for those interested in the topic. Yesterday I took the randonneur on its first ride: 40 miles consisting of the hilly countryside, a crowded bicycle path, and urban areas with heavy traffic. Some might say I should not be riding this type of bicycle without a handlebar bag at all, but I think it's important to get a sense of how it handles without any weight on it - even if the design is optimised for a front load, it seems worthwhile to compare the handling both with and without. The size of the frame is more or less right for me. If it were mine I would make the seat tube 1cm shorter, but probably would not change much else. I am particularly pleased that even on such a relatively small frame there is absolutely no toe overlap - in fact there is over an inch between the tip of my toe and the fender. Because countless people have told me that low trail bicycles are a "love it or hate it" sort of thing, I expected to have an extreme reaction to the randonneur's handling. However, that did not happen. It rides like a bike, basically. A nice bike. Different from other bikes I've ridden, but not as radically differently as I expected from some of the dramatic descriptions I've read and heard. The most distinct qualities I've noticed so far are the the way it turns (different), accelerates (excellent) and climbs hills (oh my...). But I need some time to make sense of it all and put it into words, so please stay tuned. In collaborating on the randonneur, my main agenda was to satisfy what had become a burning curiosity about this particular type of bike while also helping create a custom bicycle from scratch in keeping with my aesthetic vision - all of which was in line with what the customer wanted. We have no expectations about whether ultimately we will like or dislike the handling, since that is the whole point of the experiment. 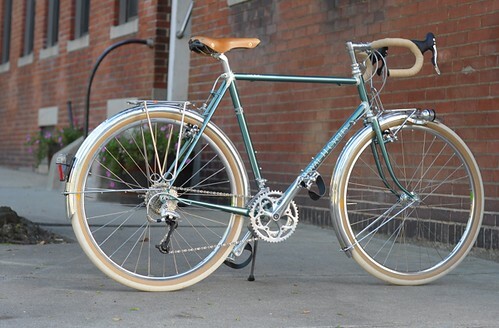 I will have the randonneur until September and am thankful for the chance to gain a firsthand understanding of these bicycles over the course of my temporary guardianship. ah to be the first to comment on such a lovely bicycle;-) its really beautiful and judging by the craftmanship and the choice of components that went into making this, I should think it handles beautiful on all sorts of terrain. compliments to the makers! I look forward to reading your commentary on this bicycle since I too am considering getting a new bike in the same genre. Am interested to find out how you will integrate a computer into the aesthetic and am also curious to know your impressions of the tires. Will the customer be installing a decaleur with the handlebar bag? 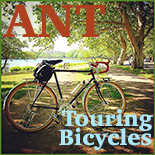 I would strongly recommend them; I have one on my current touring bike and the convenience is a wonderful thing. What kind of fenders are those? 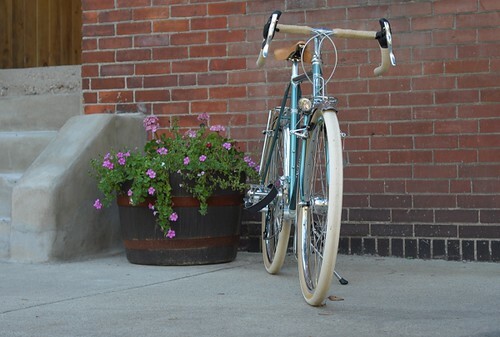 Gorgeous bicycle. A real work of art! My compliments to the builder and, especially, to the designer. Velouria, I know lots of bikes are being converted around the Hetre tire. Do you have a sense of how many bikes are being designed and built exclusively for it? wow, the bike looks awesome. I have to admit I am a bit jealous. I tried the same thing a year or so ago and it didn't turn out nearly as good. "judging by the craftmanship and the choice of components that went into making this, I should think it handles beautiful"
Ah but a bicycle can be well made and beautiful, but still handle poorly! Not that this is the case here : ) And thank you. John Cardero - What was your project like? Was the bike for you or for somebody else, and did you provide the geometry? Nick - The computer will be installed similarly to the way it is on my Rivendell, like so. As far as these things go, it will be a small and subtle one. This bike is not about 100% retro aesthetics anyhow (modern drivetrain, brifters, brakes), so I don't feel a computer will ruin things. Re handlebar bags and decalleur: Ideally the customer wanted a smallish handlebar bag that does not require a decalleur. I understand him in that respect, because having one of those things permanently attached to the stem is ugly when the handlebar bag is not on the bike. So I am going to experiment. I have a Berthoud medium bag on the way, and I am told that the decalleur is not, strictly speaking, necessary. It can sit just on the rack itself, but also comes with leather straps that can be attached to the bars. Still, I will also order the (Berthoud) decalleur just in case. As far as these things go, it seems to be the least visually offensive option. cycler - They are these Honjo fluted fenders for 650Bx42mm tires. 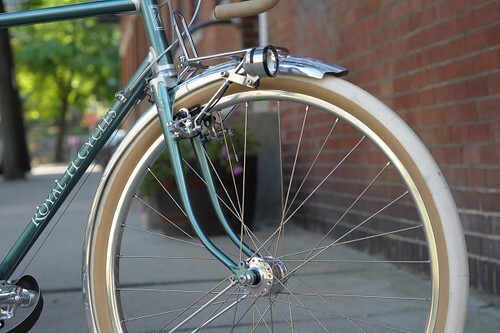 Interestingly, these differ from the Honjo fluted fenders I had on my vintage mixte. I wonder whether they changed the design, or whether the 650B version is simply different. If anybody knows of others, please chime in. 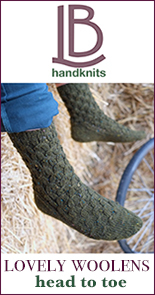 Dear V, I've never really understood your seemingly fetish-like interest in lugwork before, but now it all makes sense: I am a convert! Meanwhile I developed a love for welded ANT truss frames and Seven titanium : ) Sharing is good. Yay for the "customer" who gets this bike!! Julia - The customer is Jim P, who ordered the Rainbow Bike last year, with which I kind of sort of helped. So now he will have 2 Royal H bikes: a commuter and a randonneur. Your loyal readers eagerly await a detailed ride report. I especially like that Nitto lugged stem. Congratulations on a beautiful design and build. oh man, i totally want this bike! The Nitto lugged stem is tricky. It doesn't work if the frame is too plain. But it also doesn't work if the frame is too fancy, since the lugwork typically won't match. Here I think it works, and it seems to go nicely with Rivendell frames as well. One thing to note is that you cannot use some types of decalleur mounts with this stem. kiwigem - That is Cinelli cork tape in "natural," quite affordable : ) The bicycle will get leather tape before it's sent to the owner, but I didn't want to get it all icky with my hand-sweat so used the cork tape for now instead. 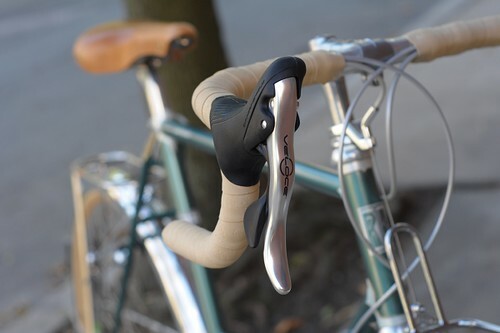 One note, you can get brown coloured hoods for new campagnolo shifters from a company called hudz, to keep it classic. Also Campy makes a bright polished alloy derailleur in Athena, I believe. I'm surprised to see such a long cage derailleur on the bike, but a beauty all the same! Love an easy answer! The color is so pretty. Will the leather be the same or will it match the saddle or other? yakym - I don't like it when the hoods are the same colour as the bars : ) But love the Hudz nonetheless. I did not go for Athena, because it is 11 speed, which would make things more complicated. Centaur used to be available in alloy, but no more. That leaves Veloce (which works great here). Long cage derailleur is to accommodate a wide range of gears. kiwigem - The "natural" Berthoud saddle actually gets darker with use. So within a few weeks it will turn into a medium brown. The bartape will be Brooks honey, which is a very similar colour to the "aged" Berthoud natural. Hope all of that makes sense. What is the assembled weight equipped as shown? The low-trail effect will become clear the first time you load up the rack. You're probably accustomed to the difference between loaded vs unloaded on your other bikes. With my low trail Boulder Bicycle I can put 15 lbs in the bag up front and you don't sense the weight affecting the handling when riding. This is in huge contrast to my Cross Check which felt completely different when front-loaded. Anon - I don't have an appropriate scale, but hoping to find somebody who can weight it for me. WickedCold - Yup, I am looking forward to riding it with a handlebar bag full of books! Interestingly, I've ridden my mid/high trail Rivendell with at least 10lb in the handlebar bag and did not feel a significant difference. VO's Polyvalent will take Grand Bois Hetre's. Wow, you're right. Somehow I did not realise it accepted tires that wide. If only it were lugged. Boulder Cycles has a low-trail 650B production frame in addition to the Rene Herse customs. Holy Rene Hearse!! That is one freaky fine looking machine. Very, very beautiful. You did a wonderful job! I know I will probably get dogged on this, but I have the knog computer and it is flawless. Easy to take on and off and always dependable. No messy wires and off in a flash, I think they cost around 50 bucks right now. Wow, that sure is a lovely bike. Just beautiful. Thanks for sharing! Wow! What a beautiful machine. I love the contrasting lug colors. It reminds me of my Riv All-Rounder. And it makes me want a new bike (uh oh!). I don't know much about bike construction and stuff, but comparing these photos to your Sam Hilborne, I can see that the frames are very different, although the two bikes seem to have a lot of similarities. I'll be interested to read more about the ride. I like the bike, and I'b like to read more about your impressions riding it. Will we get full geo specs and build details? If the difference between the two front rings is <14 teeth, a short cage Veloce RD would have the capacity to handle the wrap. PRobaly enough for a 16t difference, too. Keep up the good work, and keep us posted. The chainrings are 48/34t. The rear cassette is 11-32 (at the moment; might get changed to 34 at some point). Although I've heard conflicting reports, my overall understanding is that Campagnolo does not recommend using their derailleurs on cassettes where the highest cog is >28. We are just more comfortable with a long cage derailleur here, but I understand why some might prefer different gearing entirely. Wow, it's beautiful and you get to ride it! 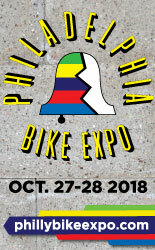 I had contacted Jan Heine a little while ago for some help after reading some of the BQP recent blog postings about randonneurs, low trail, tubing etc... and the problem I have with my bike. He recommended I go custom in order to get a bike that fits properly and performs properly for my tiny size with lighter better tubing, small bike specific design etc.. Most production bikes are built with standard tubing and when put into a smaller frame, it becomes a poor bike. 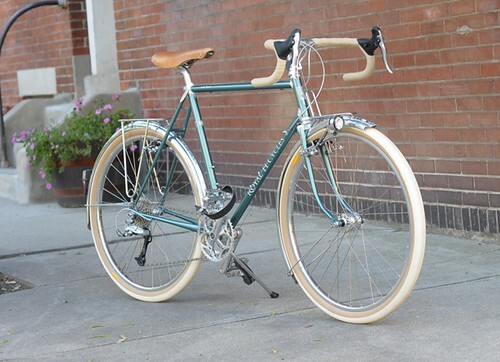 I would really like a proper randonneur mixte with fabulous tubing, but not going to happen any time soon! Campagnolo themselves make a 13-29 cassette and their derailleurs (naturally) work just fine with it. "[...] Campagnolo does not recommend using their derailleurs on cassettes where the highest cog is >28." Did you talk to Jan about the components you were planning to use on this bike? I'm sure he would have recommended a super-compact double in front instead of a huge wide-range cassette. Chainring combinations like 46/30 provide a wide and useful range of gears because even when combined with a regular road cassette (e.g., 12-25), the 30t chainring will get you up most hills. Should you/the customer want to explore more mountainous areas, a 13-29t cassette will extend the range of lower gears even further. Admittedly, the selection of super-compact doubles is rather limited, and (vintage) 50.4 BCD cranks often make front derailleur setup a bit of a chore. Nonetheless, the relatively affordable VO 50.4 BCD crankset might have been worth a try despite its flaws. Magnificent. 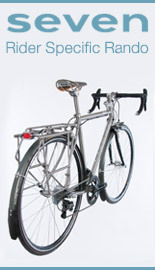 I've been wanting a faster road bike frame that can tour, while having the beauty of the classic bikes. Yes, post sizes, as well as the size of the bike you are testing. it's is a work of art. Sherlock & Roff - pardon, make that 29t. Still not the same as a 32 or 34t or 36 cog. The gearing and components on the bike were informed by the customer's riding style and preferences. Personally I think it's pointless to argue about this sort of thing as everyone can simply choose their own drivetrain for their own bike. 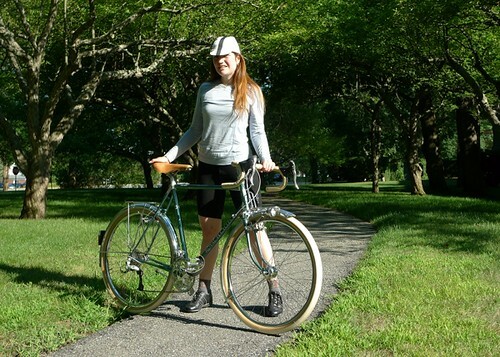 If it were my bike I would do the 46/30 setup, but I would wait until the new Rene Herse cranksets came out, because none of the current possibilities appeal to me. Liz - It is a 53cm frame (or 55cm if measured c-t) with a 54cm top tube. The comment about Campy not recommending above 28 teeth was regarding short cage. Someone said why not use a short cage. I think they even say less. Anyway, who cares--they no longer make anything useful in touring range so it seems very reasonable to a use Shimano drivetrain with an adapter. Anon - Yes, and it's too bad they don't. Judging by all the Shimano drivetrains with Campy shifters out there, I think it would actually be profitable for them to introduce a touring group. I just realized you've gone Shimagnolo with the drivetrain, with a shimano cassette. In that case, I'm surprised that even the Veloce midcage is able to pull that granny-cog. I agree with sherlock that a tighter road cluster might be preferable for this bike's intended purpose, with smaller rings up front if the rider truly needs a 28" or 26" low-gear. Smaller steps between cogs might work better for spirited riding. rob - Nope, the drivetrain is all Shimano: Deore RD with JTec Shiftmate. Sugino Alpina crankset. 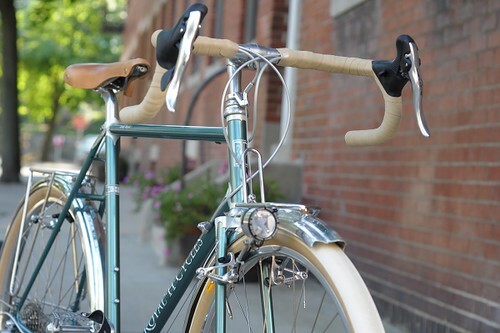 Only the levers are Campagnolo. where is the front rack from? Anon - The front rack is the Nitto Grand Bois Headlight Model. Note that headlight mount is on the right side (which I prefer, but some dislike). Does the mounting position of the front light next to the wheel cause some of the light to be blocked by the tire? Would this be a particular problem when riding the bike on the left-side of the road (in England or Australia, for example)?